The mild flavor of turkey makes a perfect starting point in this turkey jerky recipe. Turkey is also lower in fat than beef jerky making it a healthier option for some. Feel free to adjust the spices to suit your own tastes. If you do not own a dehydrator, you can use your oven on the lowest setting and leave the oven door slightly ajar for air circulation. Combine liquid smoke, soy sauce, Tabasco, Worcestershire, mesquite, onion powder, garlic powder, and kosher salt in a large zip-top bag. Add strips to the marinade, seal, and squish to coat all the meat. Re-open the bag, squeeze out all the air, re-seal, and refrigerate 12 to 24 hours. Remove turkey strips from marinade and gently pat off excess moisture with a paper towel. Place strips in a single layer, with space in between, on dehydrator racks. 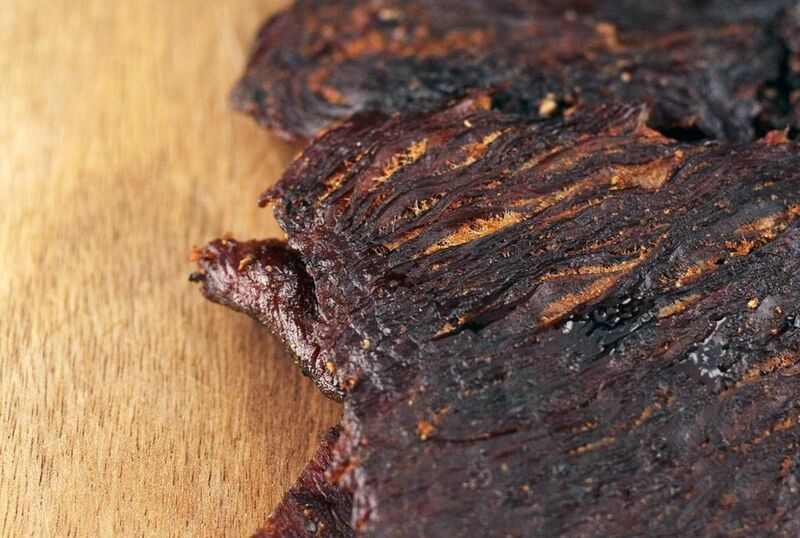 Dehydrate until turkey jerky is leathery and chewy, but not crisp enough to snap when bent. Store jerky in sealed bags in the refrigerator.